Champion Power Equipment Medium Weather Proof Custom Made Vinyl Generator Cover. Shuts - out performance - choking dirt, debris and moisture. Protect your Champion generator from the elements with a secure fitting generator cover. Made from durable, water-resistant vinyl with an elastic band to shield your investment from the harsh elements that'll rob your inverter's performance. Fits generators up to 25 x 23 1/2 x 20". 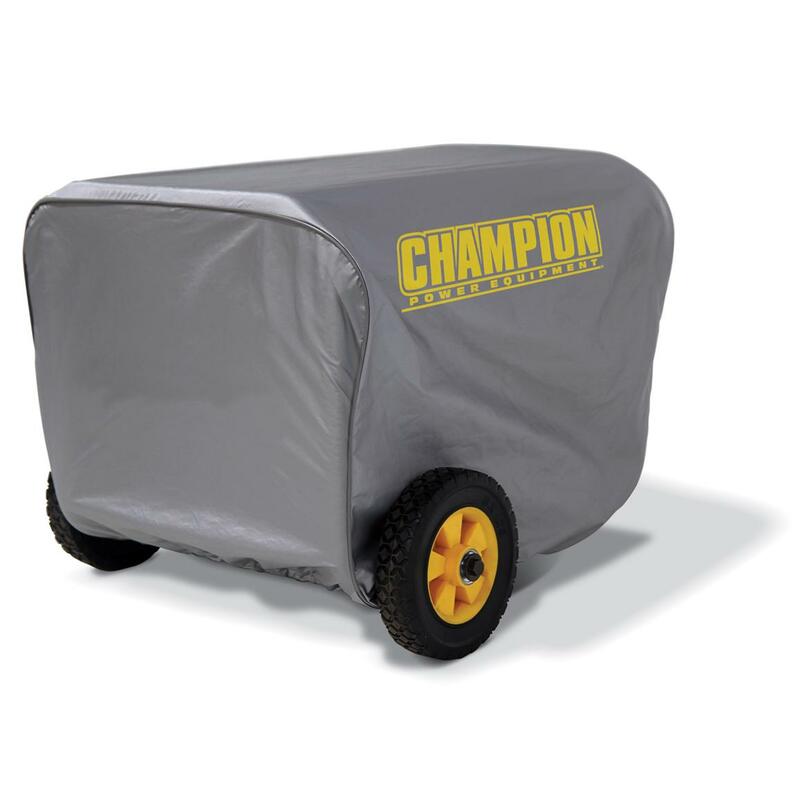 Champion Power Equipment Medium Weather Proof Custom Made Vinyl Generator Cover is rated 5.0 out of 5 by 3. Rated 5 out of 5 by dano from like a glove called customer service to find out which cover fit my 100406 generator, was told this one does. ordered it online at a good price, got it home, fits like a glove! a little later i installed a champion wheel kit, put the cover back on, still fits like a glove!! the cover will fit over the wheels as well but i tucked it back behind the wheels so as not to put any undo strain(minimal) on cover. thanks customer service!! material is good. light cloth interior to protect equiptment. thanks customer service!! Rated 5 out of 5 by MARK from Excellent fit and quality.